Many pet sitting or dog walking companies will email all of their weekly invoices out on Mondays or process payments on Fridays. Doing this one invoice at a time can take forever. That’s why Time To Pet allows you to perform invoice actions in bulk! 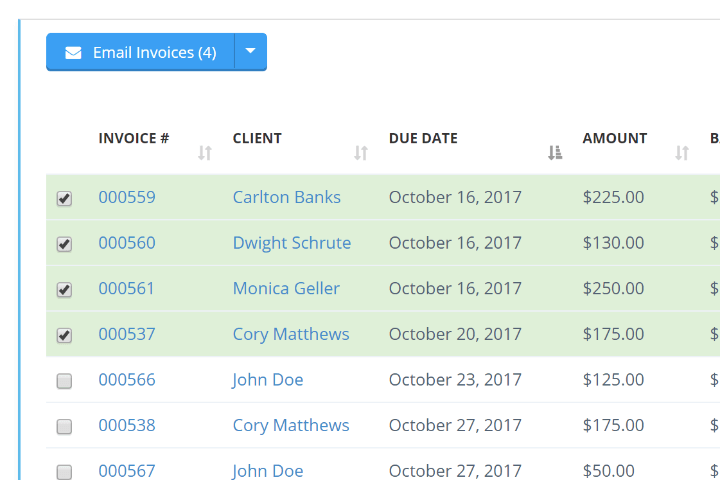 Bulk invoicing allows you to perform actions on multiple invoices at once. The most common use is to email invoices. Want to email all of your invoices for the week on Monday? Just set your filter, select your invoices and you can email them at once with one click! 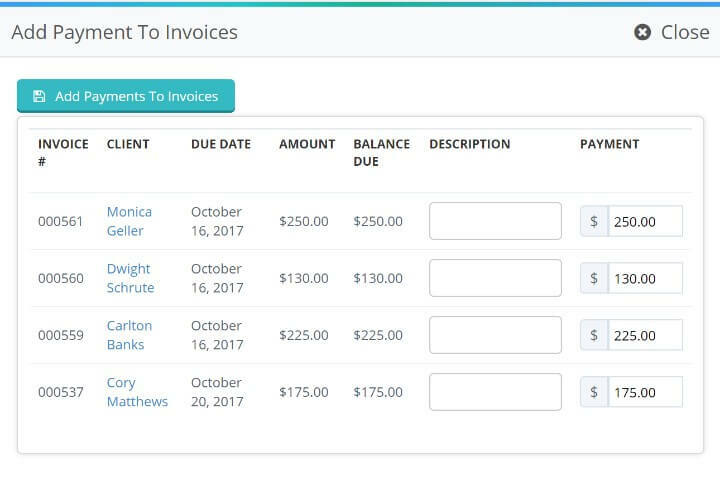 If your company processes a lot of payments for your clients, you can use bulk invoicing to make this a breeze! Just filter the invoices you need, select them and click the “Charge Invoices” button. Time To Pet will only add payments to invoices for clients who have a payment method on file. Any failed transactions can be seen in the history tab! It’s the end of the day and you have ten checks on your desk. 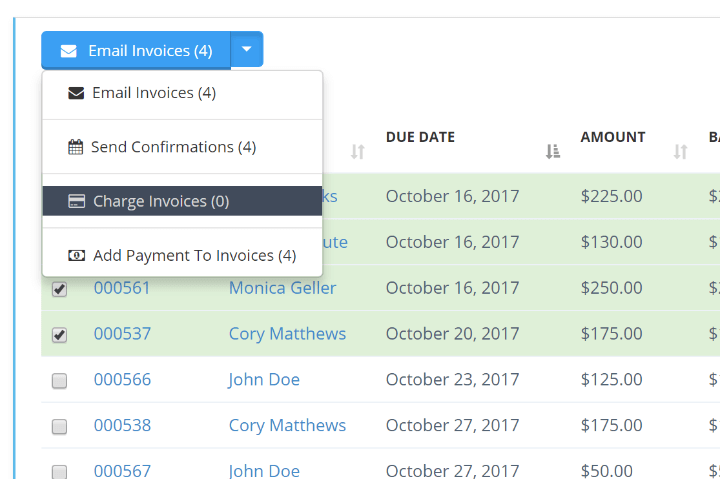 Bulk invoicing makes it super simple to manually add payments to all ten of those invoices! Just select the invoices you need and choose the “Add Payment To Invoices” selection! 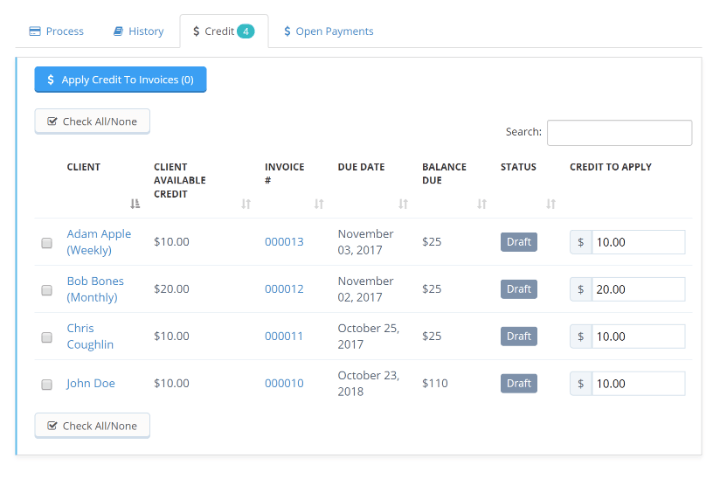 You can also apply credits and/or open payments to invoices in bulk! Time To Pet will show you any clients that have a credit/open payment and also have an open invoice. With one click - you can apply that credit/open payment to the open invoice!